Cyber Essays - Free Term Papers, Essays, and Reports! 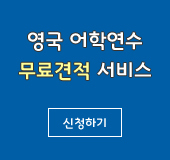 Arts, Politics, History 등 주제별로 에세이 예문을 무료로 제공하는 사이트입니다. Arts, English, History, Search, Politics, Science 6가지 카테고리로 나누어져 있습니다. Politics 카테고리로 들어가면 다시 General, Moral Issues, Political Science, Crime and Drugs, Economics, Philosophy 로 다시 세분화 됩니다. 제목 왼쪽에 있는 아이콘을 클릭해야 에세이를 볼 수 있습니다.